In the most recent Charles Lenox series entry, author Charles Finch has provided a prequel set in 1850 detailing Lenox's first important case. Lenox, second son of a baronet, is newly "down" from Oxford and establishing a household of his own for the first time. His ambitions, either to open a detective agency or to travel, have met with a decidedly lukewarm reception from his father and derision from the society he moves in. He and his former scout at Oxford, Graham, spend their mornings combing through the broadsheets for crime news. When he discovers a letter in one of the papers boasting of a "perfect murder" he thinks he has found a connection to the case of an unknown woman found inside a trunk, floating in the Thames. He presents his theory to Scotland Yard, where it is met with some grudging support and more resistance. When a second woman is found on the bank of the river, the Yard and Lenox embark on a chase for the madman responsible. Charles is also dealing with the reality of his father's impending death, predicted to be within six months, and a case of unrequited love. 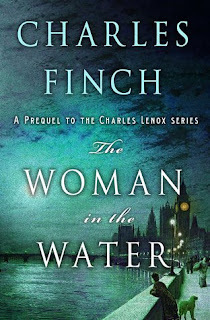 I have always admired the Charles Lenox series for the quality of Finch's writing, the settings, and the many interesting facts about the period that Finch drops effortlessly into the narrative. My favorite this time is the origin of the name of Great Scotland Street. I can't say that I ever connected with Lenox on an emotional level, or understood why he wanted to be a detective. The Woman in the Water changes that by introducing the 23-year-old Lenox with all his fears and insecurities. His interactions with his dying father, his mother, his brother are very revealing and emotional, without tipping into maudlin. We also get glimpses of long-time series characters; McConnell, a four-year-old John Dallington, and of course, the estimable Graham, and Lady Jane. Lenox makes several rookie mistakes in the investigation which might threaten his nearest and dearest. But even Scotland Yard reluctantly recognizes that he is more than a dilettante. Even his unwanted and disapproving housekeeper, Mrs. Huggins comes to a detente with Charles, providing some comic relief. 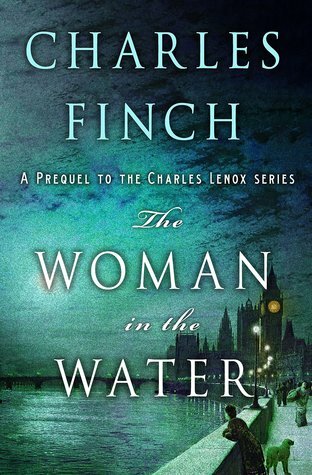 I highly recommend The Woman in the Water to both old and new readers of the series. Thanks to NetGalley and Minotaur for an advance digital copy. The opinions are my own.